When It Comes to Wedding Etiquette, How Late is Too Late? How late is too late to send a thank-you note? What about a gift? Here's our etiquette guide to making sure all of your wedding-related tasks are timed just right. 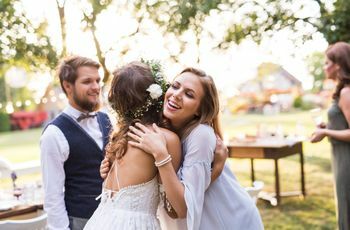 From your grandmother to your mother-in-law, everyone seems to have a different idea of what’s appropriate when it comes to wedding etiquette. Since many traditions have been followed and trusted for decades, you might question if certain rules still apply for modern celebrations. 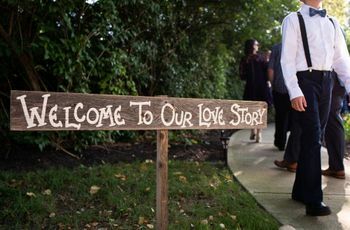 “Wedding etiquette is designed to help guide you in the unknown territory of planning an event on a large scale--and with that, comes ‘feelings’ of many people. Both your feelings and those of your family, friends and guests,” explains Amy Shey Jacobs of Chandelier Events in New York City. One of the most important etiquette outlines to remain loyal to surrounds timing. How long do you have to send a thank-you note? How about a gift? “Being punctual can save you from tears and stress, and that goes both ways. Follow timing and assuredly, you’ll be happy you did,” she adds. 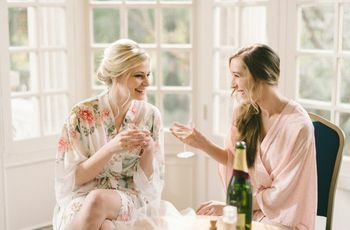 Here, the ‘how late is too late’ guide for everything wedding etiquette related, straight from the pros. Unless you’re having a very short engagement, Weinberg says it’s appropriate to allow six months for guests to plan travel arrangements, should they need to commute to make your celebration. This period goes up if you have a destination wedding, where nine months is more standard for international nuptials. And while some couples decide to have a ‘B’ list of people to invite in case the ‘A’ list can’t make it, Leah Weinberg of Color Pop Events in Long Island City frowns against this tactic. 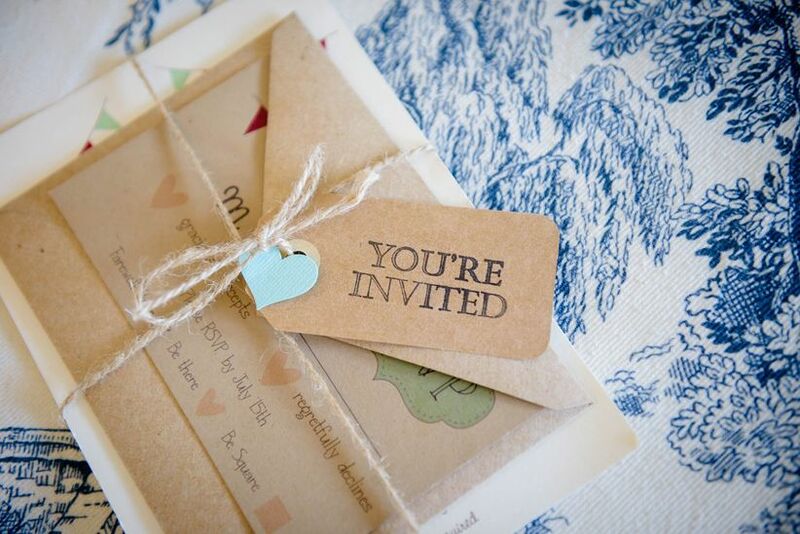 “It's poor wedding etiquette to send someone a save the date and then 'disinvite' them by not sending an invitation. 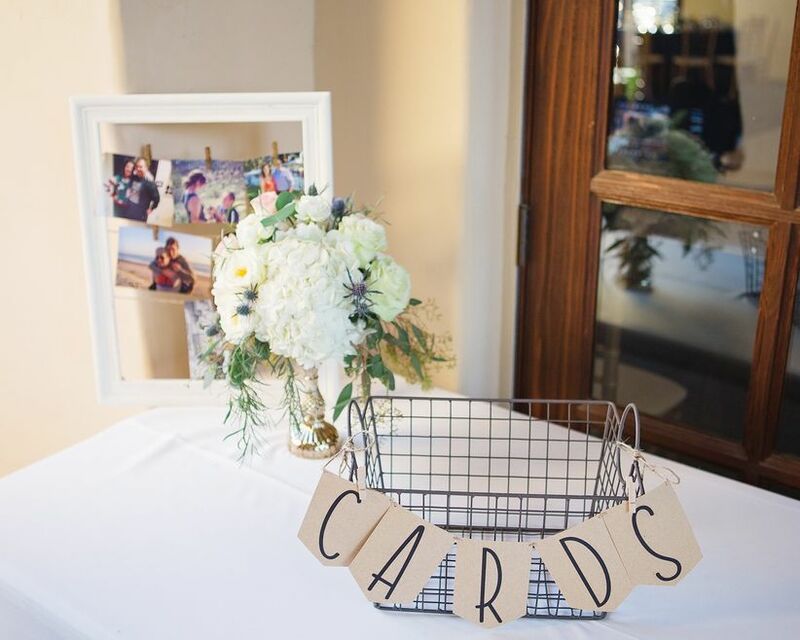 I'm not a fan of having a B list because guests who never received a save-the-date but ultimately receive an invite will know that they were a second choice,” she explains. Send a thank-you note for a wedding gift: Two weeks if you receive it before, three months if you receive at or after the wedding. As one of the pieces of mail guests most look forward to after shelling out the dough for a wedding gift, a potential new garment to wear, and a hotel stay, getting those thank-you notes posted is one of the first items on your to-do list, post-honeymoon. But did you know if you receive a gift before your wedding date, you should go ahead and thank the guest, even before the wedding happens? If your guest brings a wrapped box or an envelope to the day-of celebration, you can give yourself three months to write something kind in gratitude. 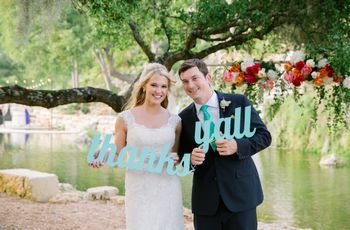 “I'm a big proponent of following proper wedding etiquette on this one, because if you send thank you notes on a rolling basis, you won't find yourself overwhelmed after the wedding with dozens and dozens of thank-you notes to write,” she says. Send a gift to a wedding you attend: Up to a year from the wedding date, but preferably sooner. Seems pretty self-explanatory, but Weinberg says you’d be surprised by just how many wedding guests ignore this seemingly minor wedding guest etiquette detail, leaving brides and grooms with the awkward tasks of asking dozens of people if they want chicken, fish or nothing at all. Not only is it inconsiderate to leave them hanging since they extended the invite to you specifically, it also puts them in a bind for contracts and financial requirements. 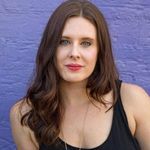 “In the event you're a guest who has never been married yourself, an accurate guest count is super important for couples because they have to pay per person. Most venues and caterers like to have that final head count a few weeks before the wedding,” Weinberg adds.